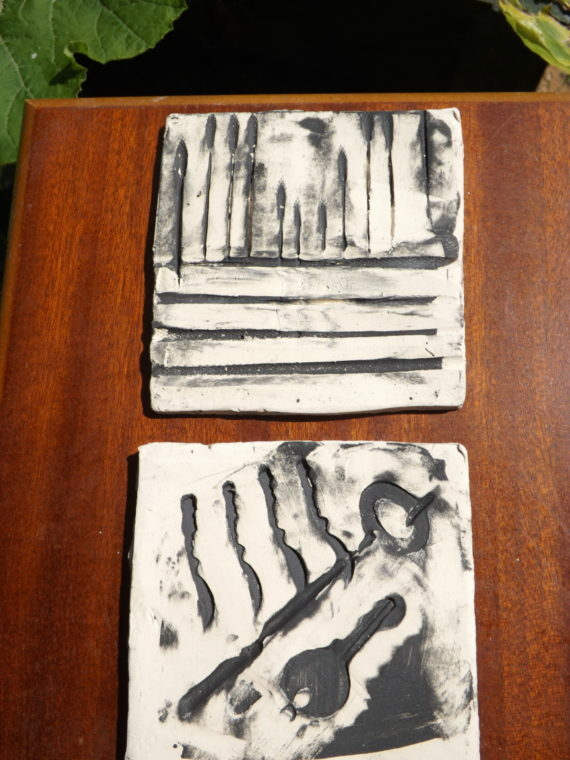 Charting a glazing and firing development process with ceramics mentor supported by a-n professional development artist's bursary. 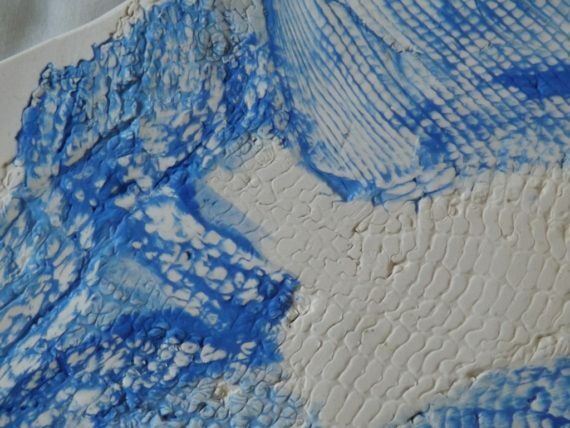 I spent a back-breaking day making test tiles in porcelain, earthenware and paperclay – then using different decorative tools and techniques on them. 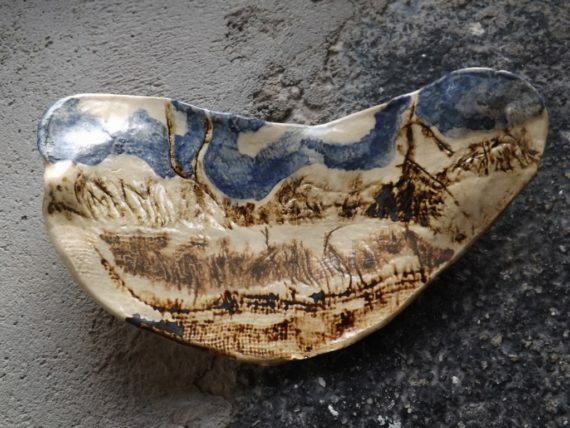 I have used the capillary method of applying slip and glaze to my maps and wold bowls and particularly enjoy the element of chance that comes with this finish – very often finer and more intricate than I could achieve by brush. I was fascinated by the mashima method of applying slip over deep texture then taking off surface with metal kidney to produce patterning with great strength and visual impact. 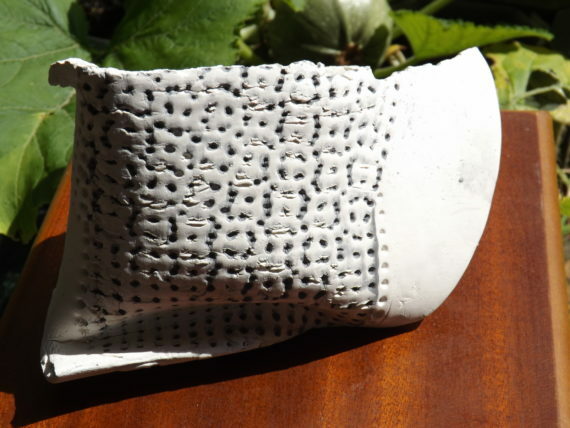 I combined the new decorative ideas with my work on slumped pots in porcelain but found the qualities of this clay are not easily compatible with these ways of working. It’s much harder to join seams firmly, especially when putting those seams under extra pressure through slumping and compression. 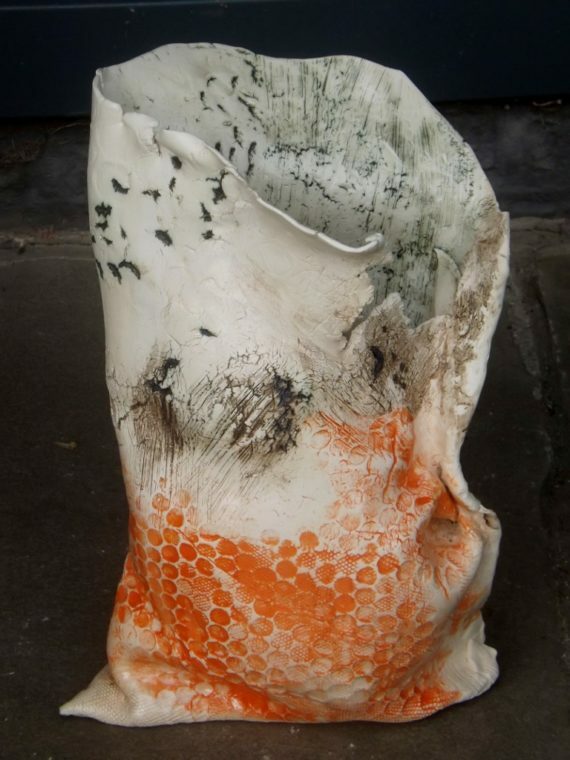 My mentor, Jill Ford suggested the gapping would help in defining this work as ” not for use” ie art pottery. 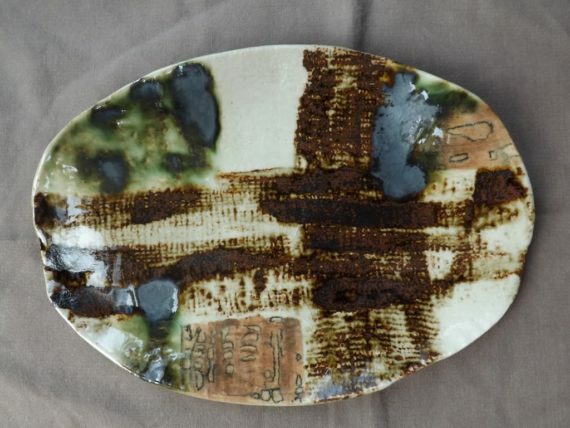 Having just been to annual COCA lecture and heard Takeshi Yosuda speak I’m now in agreement with him that all pots have use and function, but not all are tableware. 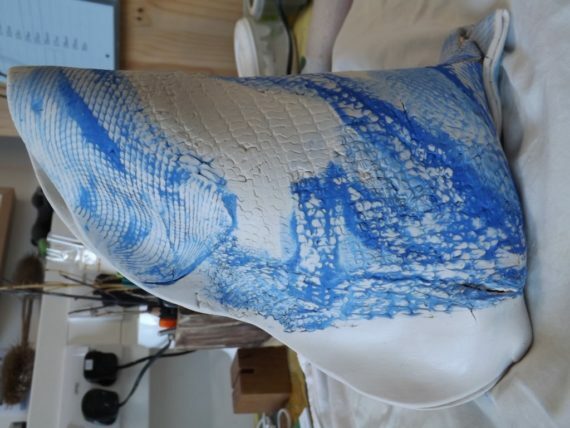 The degree of clay drying for manipulation into these free forms is different to the leather hard state needed for mashima and getting a working balance between the 2 needs may be impossible for me to achieve what I want to make in porcelain. I think it’s probably a great clay for throwing where all it’s qualities of delicacy and translucency can be worked with but it’s too slippery a beast for my current practise. I’ve learnt a lot through this process and am a much more focussed and methodical potter than I was at the outset. I also have a better understanding of the interaction between elements needed to produce what I’m aiming for. But I still love what can happen when working with clay and chemicals and fire that is beyond my control and can result in marvellous gifts.